Grace Meredith is a beloved contemporary Christian recording artist whose career--and personal life--hits unexpected turbulence. She feels grounded--in more ways than one. Grace s fiancé, bothered by her outspoken stance on purity and her near-constant travel, has broken off their relationship. Exhausted and unable to continue her current concert schedule, Grace returns home to Chicago, where she is soon stranded in a major snowstorm. Facing new questions about her future and her faith, Grace finds herself connecting for the first time with the residents of her neighborhood. What she discovers in these unexpected relationships could change everything. 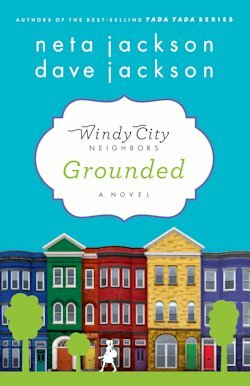 Welcome to the Neighborhood The first in the Windy City Neighbors series, Grounded is an uplifting, contemporary story about ordinary people wrestling with the spiritual and practical issues of real life. The series employs the innovative storytelling technique of parallel novels, each with its own drama and story arc, but whose characters lives become intertwined and affect one another. Grounded welcomes you to Beecham Street--a typical, isolated American neighborhood that might just be a place of hope. This is a story about Grace. Both the character named Grace and the concept of grace. Grace from God, who loves us despite all the things we've done, and grace from other people for all the things we've done. I love how Grace starts out thinking she has it all together and then things go crazy. And then in the middle of picking up the pieces she realizes that she didn't really have it all together anyway. It's a journey of self-discovery and the authors did a great job of keeping it real. If you would like to read the first chapter of Grounded, go Here. 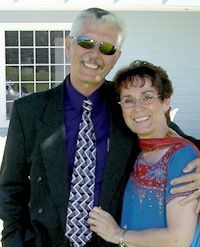 Neta and Dave Jackson As a husband/wife writing team, we are enthusiastic about books, kids, walking with God, gospel music, and each other! Together we are the authors or coauthors of over 120 books. (You can see our Publication Record by clicking HERE.) In addition to writing several books about Christian community, we have been privileged to coauthor numerous books with expert resource people on a variety of topics from racial reconciliation to medical ethics to ministry to kids in gangs.